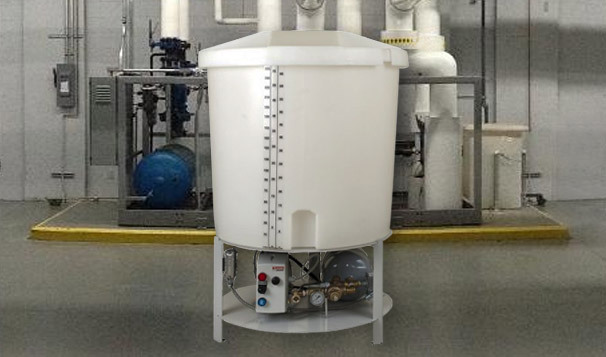 Campus areas, commonly home to universities and hospitals, are expected to provide a wide variety of various water uses, from both a potable and non-potable standpoint. 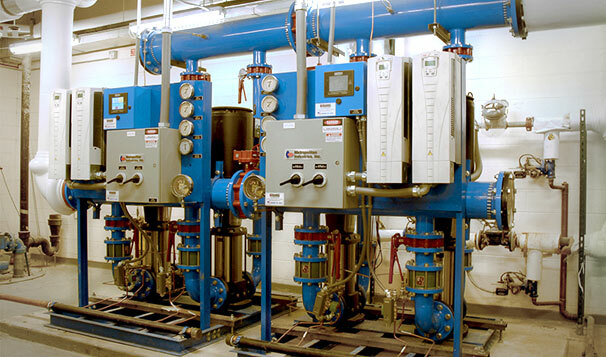 Together, the entire campus infrastructure is configured to operate like its own small village. 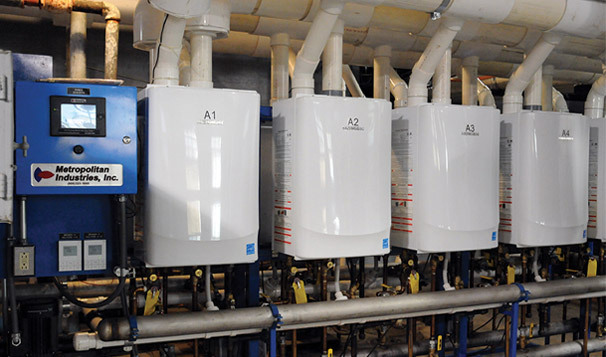 A centralized utility system which includes domestic plumbing, mechanical and electrical utilizes services all the end-users situated throughout the various buildings, often times with very different needs and demands. 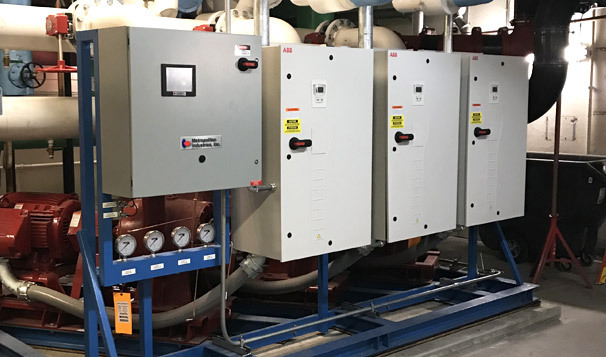 These utility systems are highly sophisticated and require precise engineering to ensure stability and longevity of the equipment. 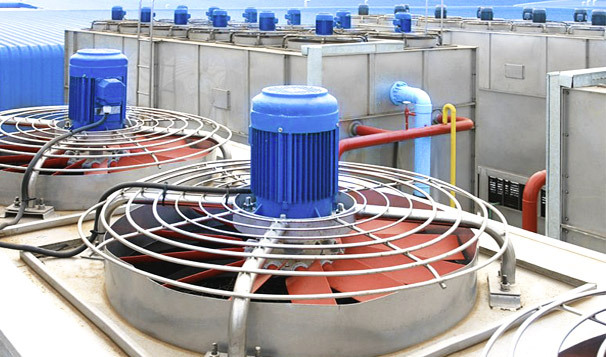 The movement of water in multi-story buildings goes through various (and repeated) cycles to ensure its availability remains reliable while at the the necessary temperatures. 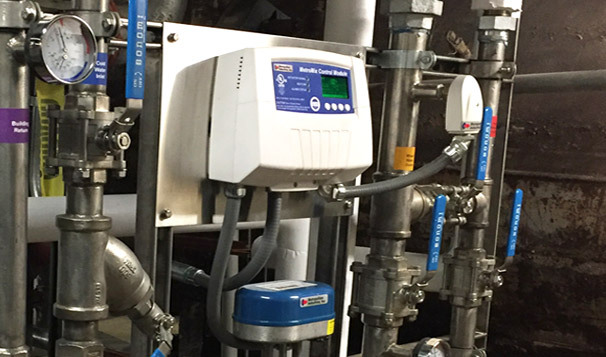 Metropolitan offers a variety of solutions to ensure that the domestic water demands in multi-story and multi-use buildings are met by its occupants. 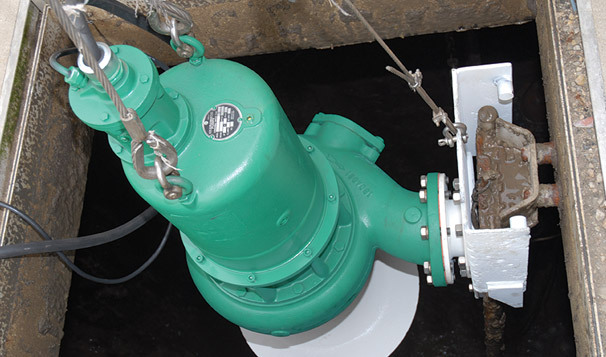 While fresh water is a limited commodity, the opposite seems to be true for stormwater and wastewater. 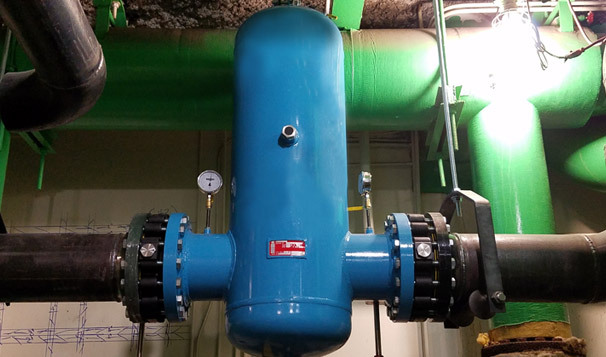 For as much effort as it takes to supply adequate freshwater, just as much effort is required to ensure buildings are capable of properly removing such seemingly excess water. 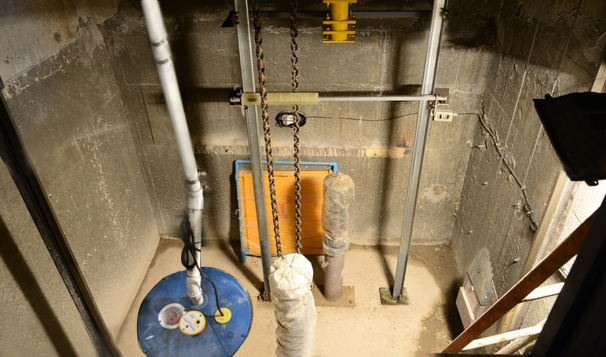 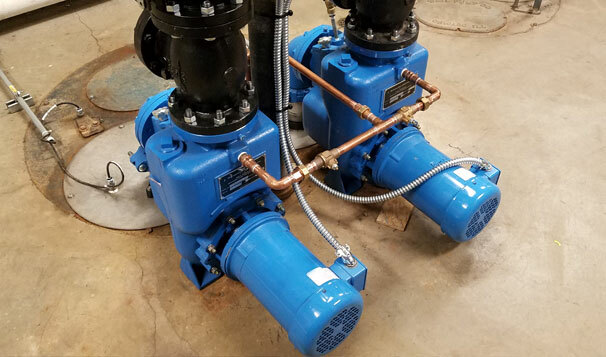 Learn more about the need for storm and sewage pumping in commercial buildings, including multi-use and multi-story buildings. 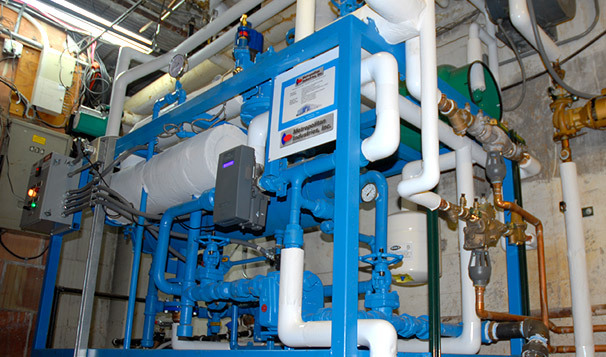 The means of heating or cooling a building or facility starts with water. 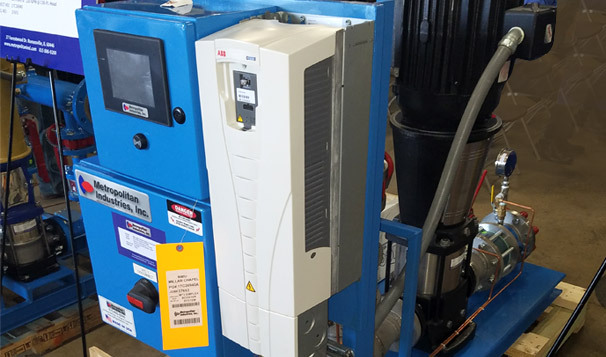 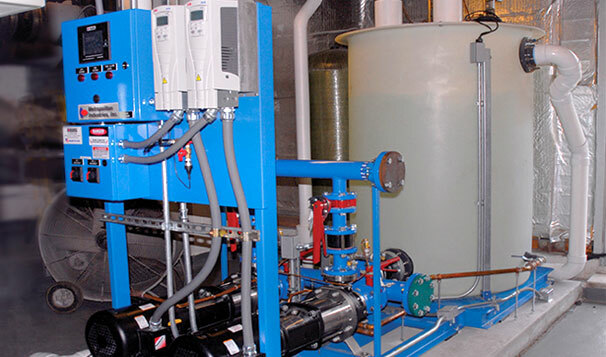 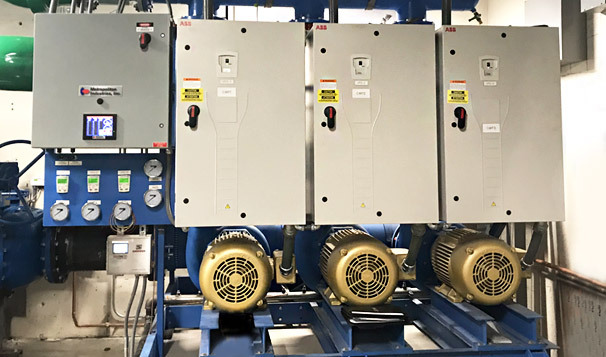 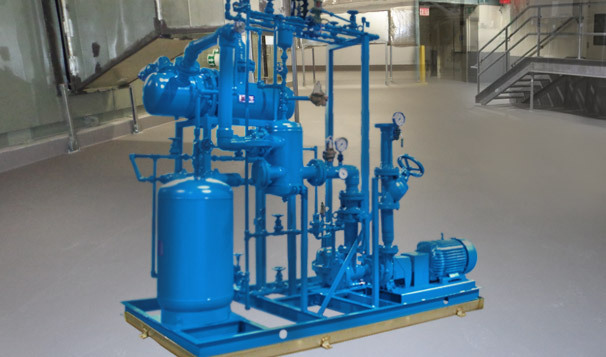 As water movement and management experts, Metropolitan Industries can design and engineer various types of packaged pumping systems customized for different applications to provide heating and/or cooling that is both comfortable and efficient. 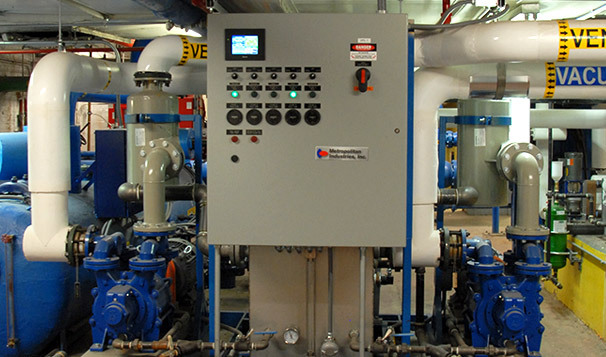 Metropolitan’s experience in hot water generation spans across several different methods. 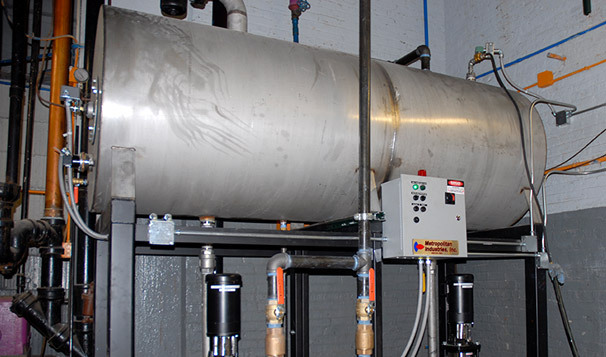 Unlike other manufactures who specialize in only one specific method of hot water making, we have the capabilities to properly assess a job site and help determine the best hot water making method without bias. 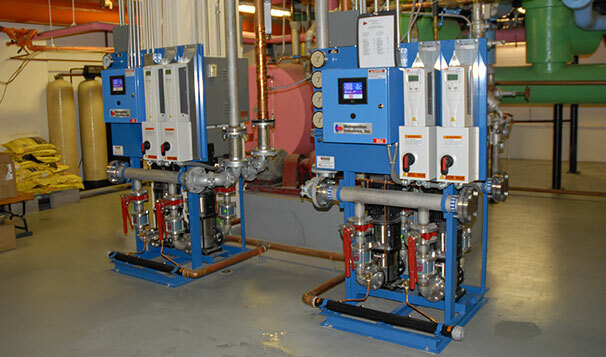 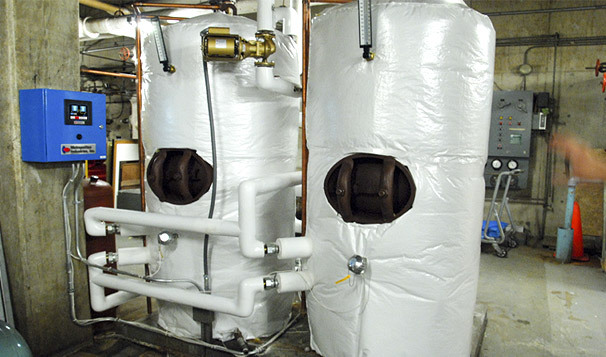 We can custom design, engineer and manufacture the complete hot water system that is just right for your application.